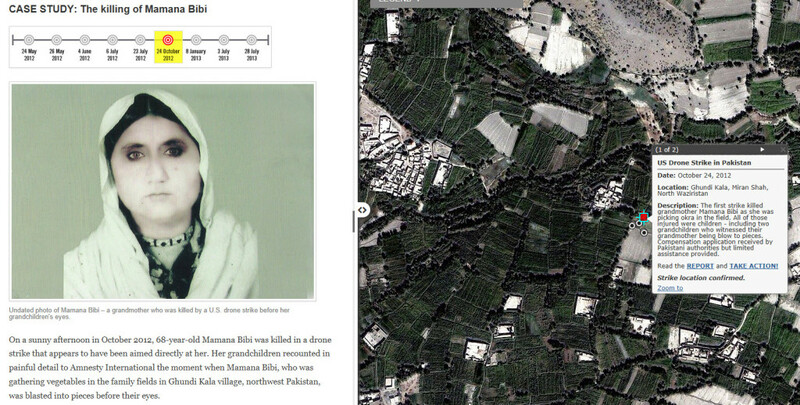 Using the Esri Geoblog template, Blue Raster helped Amnesty International create the “Will I Be Next?” story map on the drone strikes in Pakistan. The map uses data collected by Amnesty International and displays it from an on-the-ground perspective via videos, images, and stories. 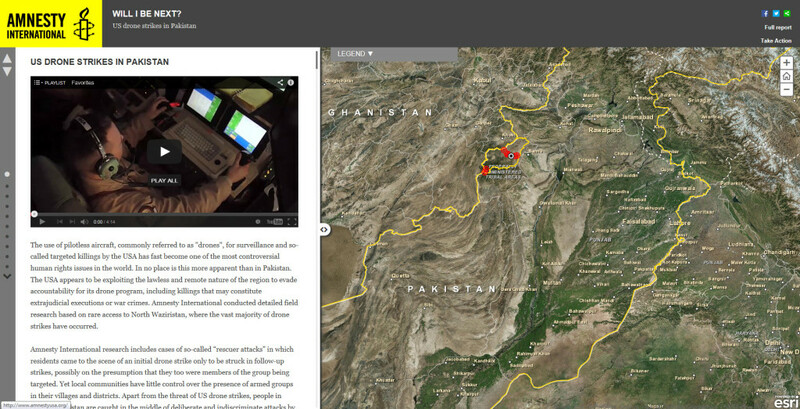 Users can scroll through a journal of stories, as well as view positions of witnesses on the map. Users can also “Take Action!” on the events and participate in the Amnesty activism campaigns. By teaming Amnesty International’s efforts with Blue Raster’s online mapping capabilities, visitors can learn about the ongoing work of the organization with a geographic and visual context. View the “Will I Be Next? story map today, and read more about Amnesty International’s work in their “Will I be next?” report.